Owned by Owen and Cassandra Inglis since 2004, Sidewood is already starting to get noticed. Highly respected critic James Halliday gave them a five-star rating in both the 2016 and 2018 editions of Wine Companion. Made by award winning winemakers whose CVs include top wineries such as Penfolds and Shaw & Smith, their wines are absolutely stunning. Only the best grapes are selected from the Sidewood estate to make the Mappinga Art Series. The winemaking philosophy is simple – to create stylish, elegant, high quality wine. Their Fumé Blanc is aged in 40% new oak barrel. Flavours of ripe pear, mandarine and lemon with a hint of sweet honeysuckle. Creamy on the palate with a delightful and a long herbaceous finish. Awarded a Gold Medal at Sydney International Wine Competition 2017. 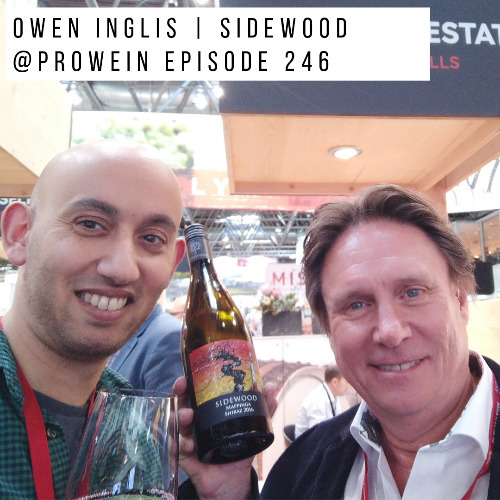 Owen and Cassandra Inglis have owned Sidewood since 2004 – their philosophy is simple – to create stylish, elegant, high quality wine. The 300 ha estate lies in the Onkaparinga Valley, is planted with 60 ha of vines, and has a thoroughly modern winery. The estate is highly rated by the famous Australian wine critic James Halliday, who gave them five stars in both the 2016 and 2018 editions of Wine Companion. The wines are made by award winning winemakers whose CVs include top wineries such as Penfolds and Shaw & Smith. Davy’s ship the wines direct from the vineyard and are proud to be Sidewood’s main importer and distributer in the UK.